A new feature at the extremely popular Cider Summit events is the Fruit Cider Challenge, a friendly competition featuring small batch fruit ciders from cideries in attendance. Cider consumers vote to pick the winner. 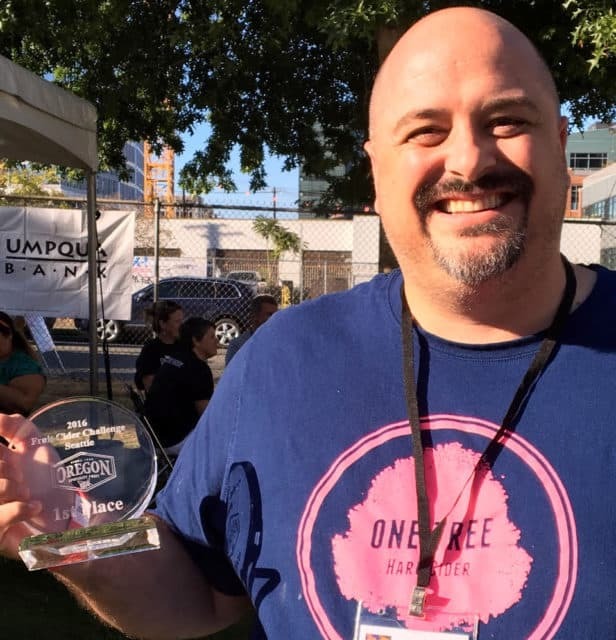 At the most recent Cider Summit, held in Seattle, One Tree Hard Cider from Spokane, Washington, won over the crowd and claimed victory with its unique Raspberry PB&J cider made with Oregon Fruit for Brewing raspberry puree. The second place Fruit Challenge choice was delivered by Eaglemount Wine and Cider in Port Townsend, Washington: Brambleberry Burn, made with Boysenberry Puree. Third place honors were awarded to Pear Up (NV) Cider from Wenatchee, Washington, and its RasPerry Watermelon perry made with Oregon Fruit’s Raspberry Puree and watermelon. The next Fruit Cider Challenge will take place at the Cider Summit in Chicago in February 2017, the weekend of CiderCon.